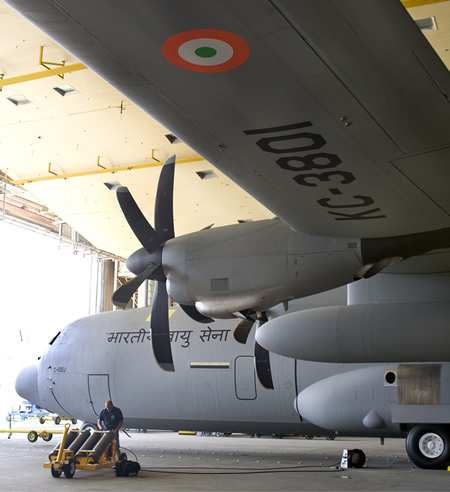 Photo: The first Lockheed Martin C-130J Super Hercules for India has completed painting at the company's Marietta, Georgia, facility. The aircraft now enters flight test in preparation for delivery at the end of the year. The program for India includes six C-130Js, training of aircrew and maintenance technicians, spare parts, ground support, and test equipment. Also included is India-unique operational equipment designed to increase Special Operations capabilities. 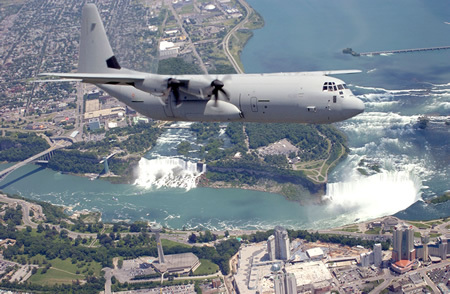 Photo: The Lockheed Martin C-130J Super Hercules airlifter pictured here flies over Niagara Falls on a test flight. 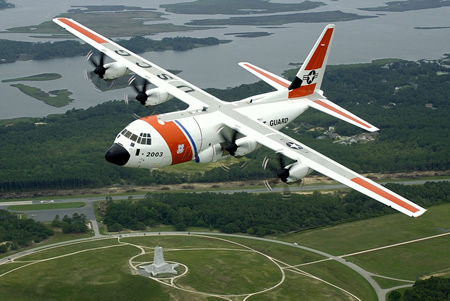 Photo: This aircraft is a Lockheed Martin C-130J, operated by the U.S. Coast Guard at Elizabeth City, N.C.
• Headquartered in Bethesda, Maryland, USA, Lockheed Martin is a global security company that employs about 136,000 people worldwide and is principally engaged in the research, design, development, manufacture, integration and sustainment of advanced technology systems, products and services.